Eggplant parmesan is one of those quintessential Italian comfort foods. With this eggplant parmesan pasta I’ve reinvented the classic Italian-American recipe and created a deconstructed rendition of this hearty comfort food that you’ll want to serve the family again and again! Eggplants are one of my children’s least favourite vegetables however, there are a few recipes, such as my Crispy Baked Eggplant Fries and this repertoire regular that they devour! This sauce can be served chunky but can easily be disguised as a simple ‘tomato’ sauce once pureed until smooth and creamy. 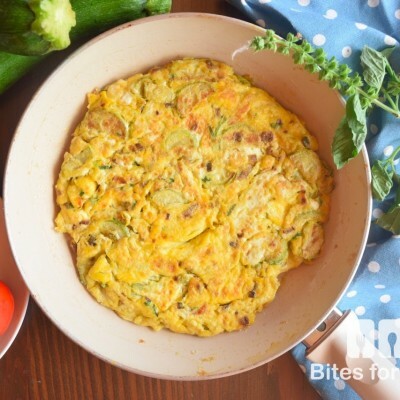 This recipe is much healthier and lighter than the traditional one since it swaps the usual fried eggplant for a sautéed version, which not only lends well to pasta dishes as a delicious, nutrient-dense sauce but also as a hearty and interesting side dish to serve alongside a family meal (Think ratatouille!). This easy-to-prepare recipe includes all of the main components of a traditional eggplant parmesan-thinly sliced eggplant, gooey mozzarella cheese, sweet tomato sauce, and tangy Parmesan cheese. Fresh, seasonal ingredients are key in ensuring that this eggplant parmesan pasta is as flavourful and fresh as possible. I used freshly picked eggplant and basil from our garden and creamy, rich mozzarella di bufala, packed in water. 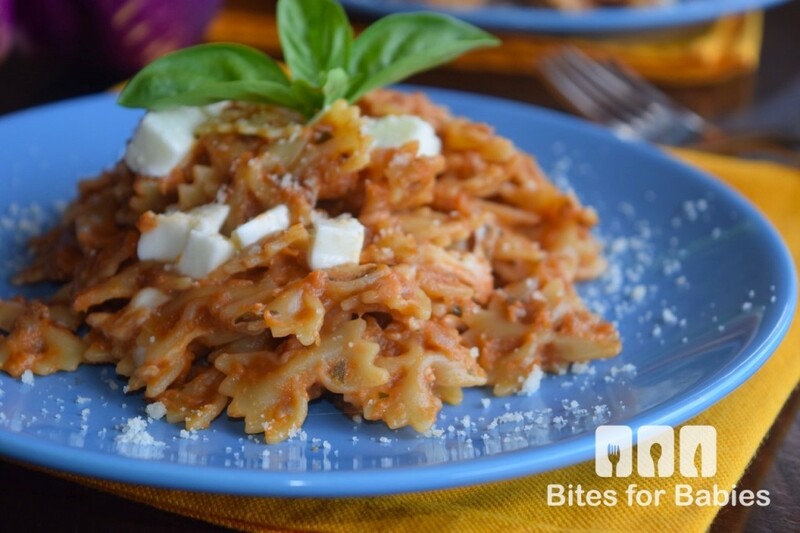 One of the best parts of this eggplant parmesan pasta are the creamy, clumped up morsels of gooey mozzarella cheese (especially if you use mozzarella di bufala) that are smothered in sauce and nestled in between the pieces of pasta. The addition of basil leaves adds another depth of flavour and freshness to this light, end of summer meal! Bring about 6 cups of water to a boil in a medium pot. Once boiling add 1-2 tbs. of sea salt then cook the pasta for 1-2 minutes less than the suggested cooking time. Once cooked, drain the pasta, setting aside 1/4 cup of the cooking water. In the meantime, heat the olive oil in a large frying pan for 1-2 minutes on medium heat. Add the garlic and eggplant and sautee for 5-7 minutes or until lightly browned. Add the tomato puree, water, 1/2 of the basil leaves, and salt and pepper to taste and cook for another 15-20 minutes or until fork tender. Set aside to cool for about 5 minutes. Transfer the eggplant to large food processor with the remaining basil leaves and blend until smooth and creamy. Once the pasta is cooked and drained transfer it to the large frying pan (on low heat) and stir into the pasta with the 1/4 cup of cooking water until the water evaporates and the pasta is fully coated with sauce. Remove from the heat then add the cubed pieces of mozzarella and stir to combine until melted. Serve garnished with a drizzle of extra virgin olive oil, Parmesan cheese and fresh basil. This keeps in the fridge in an air tight container for up to 3 days. This sounds like a healthy recipe I could try. I love trying out different recipes and would definitely love to try one. This is amazing and my kiddos would love this! I’m so impressed as always with your ability to create so many different recipes. You are a huge resource to me! Hope you know that. This looks amazing! 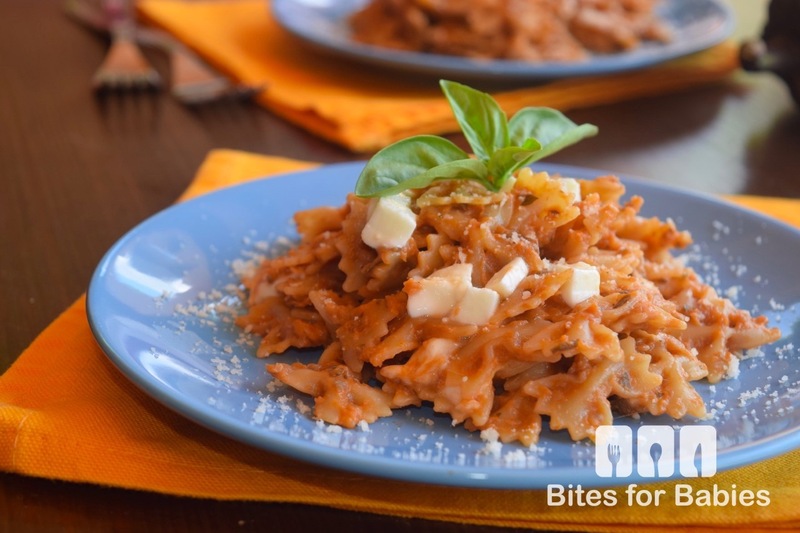 I will definitely be trying out this recipe with gluten free pasta! I make it as well with gluten-free pasta! I’m not particularly fond of eggplant, but I may have to try this recipe. Thanks for sharing! Thank you so much for sharing another great recipe. I’ve been making a lot of meals by recipe lately so this is perfect. Great! Hope you try this one out! Looks like a good way to make eggplant something the whole family will love. Definitely an aquired taste. I agree, eggplant has a very strong, sometimes bitter flavour. Sometimes it’s best to mask the flavour a bit! 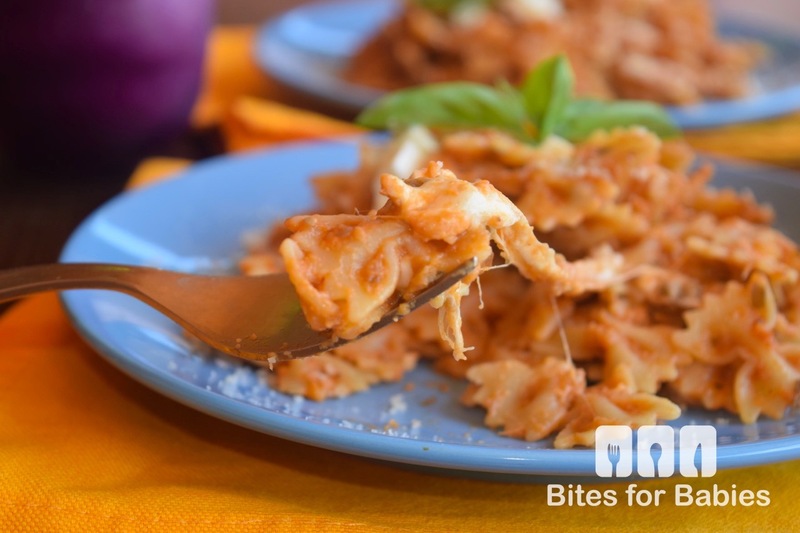 This pasta looks delicious and bowtie pasta is so tasty – I love the texture of its shape. I never had pasta with eggplant in it. I don’t often cook with bowtie pasta…I usually choose penne or spaghetti by default! Oh this looks delicious. I’ve never had eggplant before, but this is something I’d love to try. I am not a fan of eggplant. It tastes funny to me. It does has a strong flavour and it’s definitely an acquired taste. You could try this and reduce the quantity of eggplant. This looks so delicious and easy to make. My kids would love this for dinner. I will have to try this recipe. 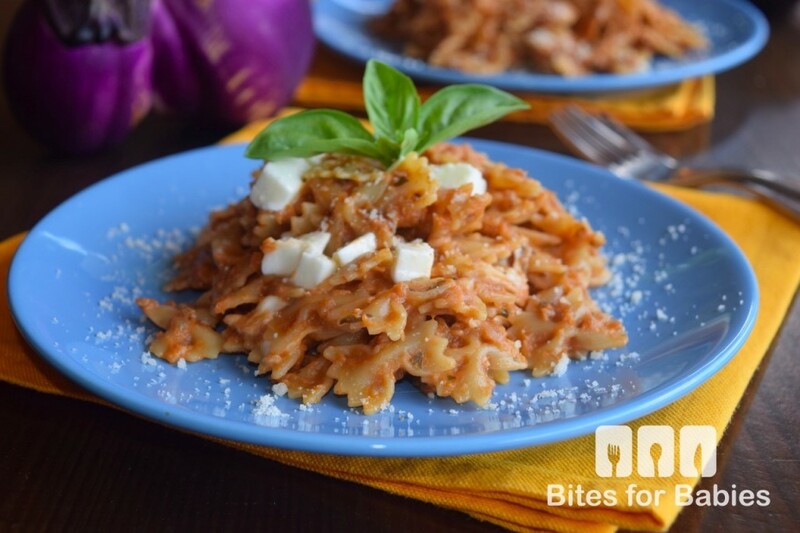 I love pasta and eggplant yet how come I’ve never thought of making such a delicious dish? I have no doubt that is delish. Can’t wait to try it. Thanks Lynn! It is delicious…I think you’ll love it. I visited your site again because I really had to show this to my son who is studying to be a chef. He said he will show it to their Head Chef in the restaurant where my son is undergoing training. Wow! Seriously?? I would love to hear if they decide to make something like this! How very flattering!!! Yum yum! I bet I could convince my eggplant hating husband to eat this! It just looks so good! 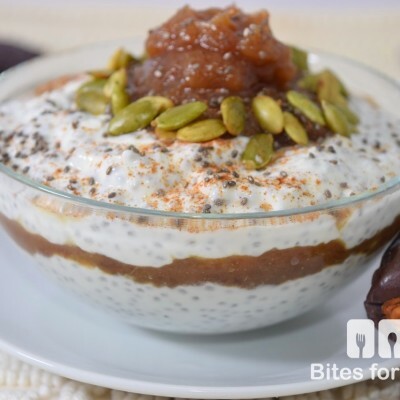 If you all love eggplant then this recipe would definitely be a hit! I love that I can’t really see the eggplant. I might be able to trick my husband and kids into eating it. It looks delish! I love how we have to trick our husbands as well, lol! Great! I’d love feedback if you try it! That looks so tasty. I have to say, I’ve never seen it done quite that way before. It’s worth trying! Not a huge fan of eggplant but anything parmesan works for me. 😛 Interesting combo, my husband would enjoy this! I agree…Parmesan or cheese on anything makes it taste better! This looks really good. I don’t use eggplant much, so this would be something new and different for me. I think a lot of people don’t cook with eggplant because they don’t know how to prepare it. I like it grilled or sauteed but this one is also a fave. That looks so good. Eggplant is my favorite veggie. I will have to give this a try. 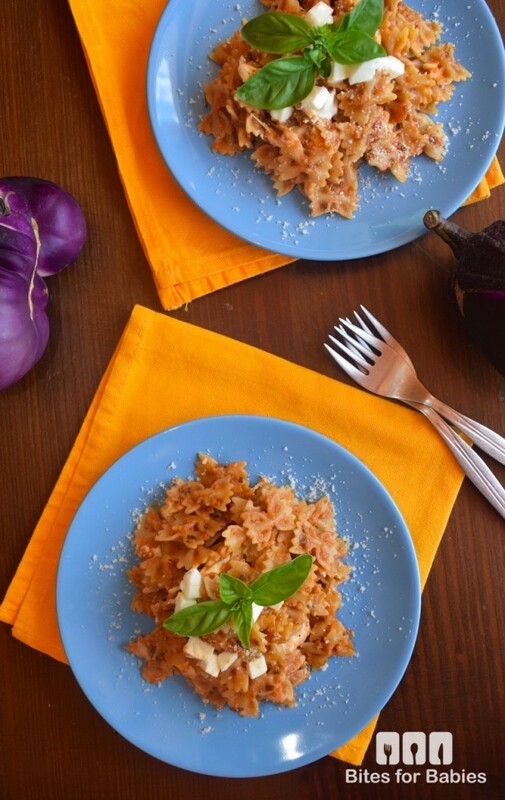 Eggplant is really a great vegetable to incorporate in pasta dishes. I use it for lasagna too. I agree, especially for vegans since it has a nice meaty texture. Thank you for this recipe. So yummy to look at. ! The eggplant was used as a substitute for ground meat. How healthy! I would love to try making this on the weekend when everyone is home. It’s a great dish that vegans can enjoy too…I hardly make bolognese sauce anymore! I have never cooked with Eggplants before. This looks like a great recipe to start with. It looks so delicious and easy to make. Really? You should try this! YUM! This is super easy and delicious! Thanks for sharing this recipe! This looks yummy! I love eggplant and I can’t to try this. Thanks for the recipe. THis looks delicious!! I just picked a huge eggplant from my garden ( The first time I grew one!) and I was wondering what to do with it. This is a great recipe to do! Lucky you…I wish we had room for a garden at home! I think he would love this! This looks absolutely yummy! I am always looking for new dishes to serve for dinner, and this one is definitely getting bookmarked! My husband is a long haul truck driver, and I think he would really love this as one of his meals when he is home for a few days! It’s a great comfort food (at least in my opinion!) and definitely a hearty meal. I have never tried eggplant (mostly because I have no clue what to do with it), this looks SO good I might have to go buy a eggplant and try it tonight! What a delicious dinner idea this is. I know my entire family would absolutely love this and completely devour it.